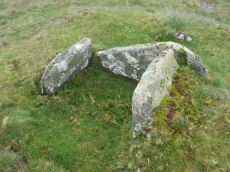 Notes: "cairn with hollow in centre. Diam 17.5m, height 1.6m. ... (grinsell) 18.0m diameter, 1.4m high. Siting - hillspur. 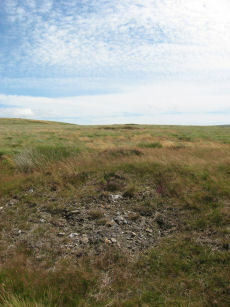 ... (gerrard) cairn mound measures 19m in diameter and stands up to 1.5m high. 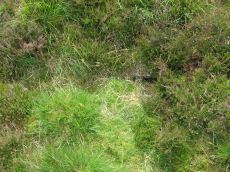 An irregular shaped hollow in the centre of the mound, measuring 4m long, 3m wide and up to 1.3m deep, suggests partial early excavation or robbing (mpp)."